Comprised of many of the area’s up-and-coming musicians, the band combines the broad sounds of a large ensemble with the extended soloing typical of a quartet. 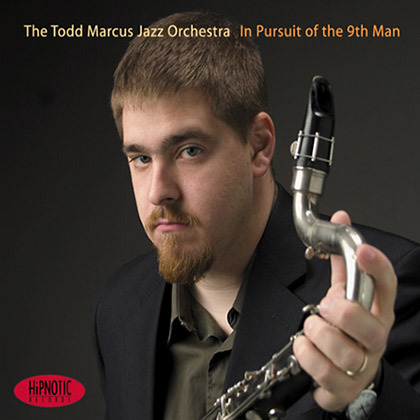 The debut recording In Pursuit of the 9th Man (Hipnotic Records) features original music which Marcus arranges to highlight the rich sounds and textures of the ensemble. The music often incorporates jazz with other influences from classical to middle-eastern themes but always swings hard and features strong solos from of each member in the ensemble. The result is music with great passion and sincerity – something which speaks to the essence of jazz.